2015 World Fantasy Award nominee Shirley Jackson Award nominee "A beautiful and courageous journal." - Peter Straub Shadows & Tall Trees is the flagship publication of Undertow Publications (UP), a small press based near Toronto. In 2010 and 2013 the journal was a finalist for the British Fantasy Award for Best Periodical/Magazine. 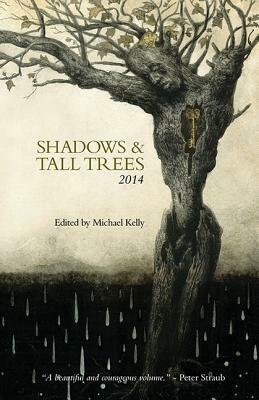 Stories published in Shadows & Tall Trees have been selected for reprint in The Best Horror of the Year; The Best British Stories; The Year's Best Dark Fantasy & Horror; Imaginarium: The Best Canadian Speculative Writing; The Year's Best Australian Fantasy & Horror; and Wilde Stories: The Best Gay Speculative Fiction. Many notable authors have graced the pages of Shadows & Tall Trees, including Robert Shearman, Steve Rasnic Tem, Alison Moore, Nicholas Royle, and Nina Allan.